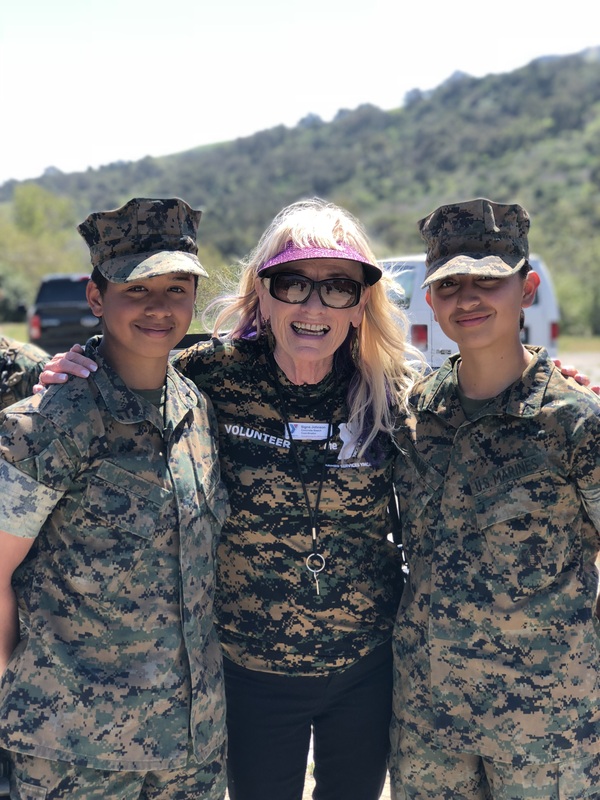 Welcome to the Camp Pendleton Armed Services YMCA! Our mission is to enhance the lives of military members and their families in spirit, mind and body though programs relevant to the unique challenges of military life. Seeing your positive impact on the faces of military service members and their families. Directly contributing to your community and your country. A sense of purpose and action. Invitation to appreciation events and Camp Pendleton events on base. Recognition, both formal and informal. Resume experience and a letter of recommendation if needed. A volunteer T-shirt after the first 20 hours of service, followed by hourly achievements at the 50th, 100th, 150th, and 200th hour marks. We rely heavily on our volunteers and cannot run certain programs or events without the help of our dedicated volunteers. It is important, therefore, to ASYMCA and those we serve, that volunteers honor their commitment once they have signed up for an assignment. We use Volgistics, a personalized online volunteer database, for scheduling and documentation. Each volunteer must use his/her Volgistics account to schedule themselves and report all hours served. Volunteers have an opportunity to sign up for specified assignment openings on a first-come, first-served basis. All schedules are posted 3 months in advance and no sooner. Some positions will not have openings listed on the calendar, but will coordinate a schedule with their department supervisor. Volunteers are expected to report their hours served within 24 hours of the assignment date. All hours for a month must be entered by the end of the month for accurate tracking. Travel time, unless stated by the Volunteer Manager, is not a part of logged hours. We offer a wide variety of programs at locations both on and off base. Our programming includes Operation Little Learners Preschool, Operation Hero (after school), Hospital Child Watch, School of Infantry (SOI) Recreation Center, School of Infantry Concrete Beach BBQ’s, and Summer Camps. Age requirements range from 15 years to 21 years of age depending on the program and volunteer position. Between all our programs, we have positions available every day of the week from 0800 to 1800. We require criminal background checks for all volunteers who interact on a regular basis with children, and $20 donation to the program of your choice to off-set the background check cost. This background check done in house and may take up to one month. Volunteering at the Navy Hospital requires an updated shot record as well as clearance from Occupational Health at the hospital, in addition to an ASYMCA background check and donation. The hospital screening is done at no cost to the volunteer. Preschool, Child Watch, and Operation Hero volunteers are expected to commit to a minimum of 3 hours (one day) a week, but are encouraged to volunteer twice a week. Additional volunteers may be needed for preschool party weeks such as Easter, Graduation, and Holiday. Events are held annually and are generally during the same months every year. Volunteers are encouraged to participate in the planning, organization, execution, and conclusion of each event. If you are interested, you may ask to become the coordinator for an event, overseeing all other event volunteers and contributing to pre- and post-event meetings. Event planning starts two to four months before the date of the event; the general timeline is as follows: January – Annual Dinner; April – Father Daughter Dance; August – Golf Classic; September – Ball Gown Giveaway, October – Mother Son Dance; November – Poker Run and Home Hospitality; December: Santa’s Workshop, Secret SANTA, and more. Volunteer Orientations are held on an appointment basis. Please contact our Program Director to schedule an appointment.